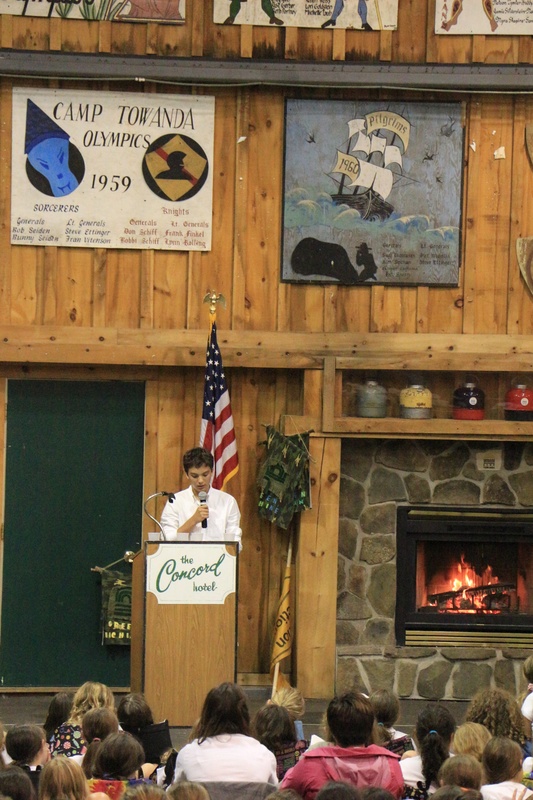 Ethan Kripke, a 2nd generation Towanda-er, completed his Club year, is currently in 10th grade and will be back in the future as a counselor! This past July, Ethan wrote the following reflection as his sermon to the rest of camp. Lots of camper sermons start out with something along the lines of: the first time I stepped off the bus onto Camp Towanda, I was scared. It was a strange new place, filled with people I didn’t know yet, and I was without my family for the first time. My experience, however, was a little different. 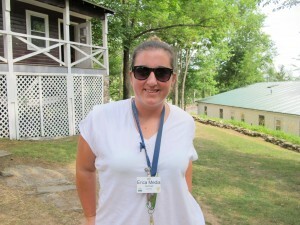 I had been raised on stories of camp for my whole life. Thanks to encouragement from my father, my brother, and my sister, I was more than ready to hop on the bus and go. I was excited for the weeks to come, with activities and sports, talent shows, trip days, Olympics, and of course, making new friends. So, for me, the last time I stepped off the bus onto Camp Towanda, I was scared. It was my final year as a camper, and I knew that after the summer, I might not see some of my friends for a very long time. And though this fear has been plaguing me from the beginning of this summer, I have since come to realize that it has also helped me to appreciate the summer even more. It motivates me to have as much fun as possible while I still can, and to be the best I can be to the people who have been a huge part of my life for seven whole years. In these years, here at Camp Towanda, I have learned many lessons that I have used and will continue to use throughout my life. In this respect, camp is just as important as traditional schooling. At camp, you learn how to take care of yourself and gain personal independence, while also learning and appreciating the value of trust and teamwork. Camp is a place where you understand that friendship is one of the strongest bonds on Earth, and can overcome any challenge. These types of lessons are never taught at school, yet are seamlessly integrated into the daily life of Towanda, helping you learn from your experiences, whether they are mistakes or successes. That’s the beauty of camp: no matter the activity, you’re having fun while also learning, even if you don’t realize it at the time. One of the most important lessons I have learned throughout my time at camp is to live in the moment. While it would be easy to spend my days reliving the past or only worrying about what is to come, I would find that my summers become less enjoyable, and some important experiences would pass me by. In the end, the advice that I have to give to the younger campers (of which I was one) is to cherish the “now”—not the “then”, or the ‘will be’, and to fully appreciate things as they happen, because before you know it, they will only be fond memories. My experience at Camp Towanda has not been the typical experience. I may not have grown up at camp in the traditional sense, but I have, in fact, grown up at camp. 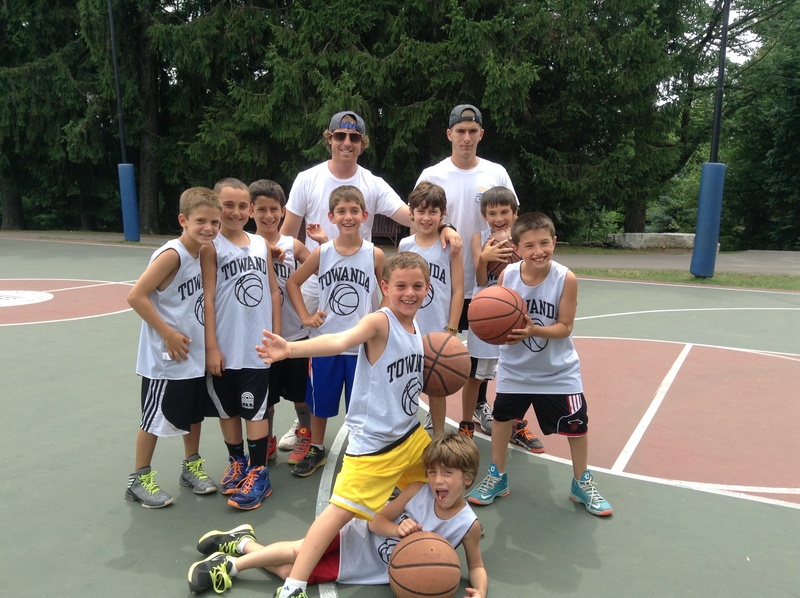 This summer marks my 7th year as a member of the Camp Towanda family. It seems appropriate that 7 is a lucky number and this is, of course the lucky summer of 2013. Luck, or fate, definitely played a small part in my arrival at camp. In the winter of 2006, as I was trying to dwindle down my summer employment options, it came down to two camps; Camp Towanda, and another camp. Although I didn’t know it at the time, I did perhaps the single most important thing I’ve ever done; I flipped a coin, and it came up Towanda. Even during my first summer, I knew I had discovered something very important, and something special. It didn’t take long before Mitch started talking to me about what we would do the next year, and the year after that, and of course, the year after that. 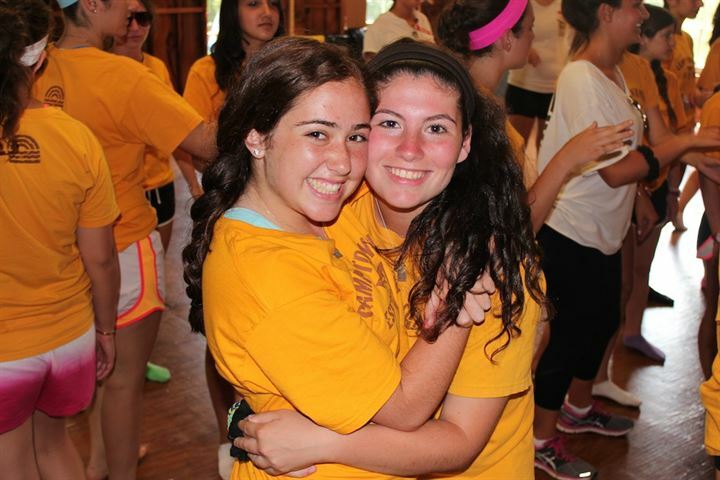 Camp is a part of my life. It’s a huge part of my life. During the past 7 years I have lived in 6 different apartments in 3 different countries and the only place I have known that I would truly feel home was Camp Towanda. Camp is so much my home in fact that my mail gets delivered here, all year round. Often at camp you hear people talking about the real world, or returning to real life, but for the lucky few of us, Camp is real life. We still live 10 months for two but instead of boarding the buses in August and figuratively carrying camp with us, we literally hold on to camp throughout the winter preparing for the day when the campers will once again wash upon the shores of Towanda. At the end of each week, and each summer, I am entrusted to produce Friday Nite Flix and with each episode I try to produce the best FNF I can and present it as my gift to camp but no matter how good each show is (and I do hope you enjoy them), it doesn’t compare with the gifts camp has bestowed upon me. Camp has provided me with the opportunity to grow, both personally and professionally, to learn and to make mistakes. There is no way to truly express the importance of the friendships I have made here. Towanda is a beautiful camp with amazing facilities, but it is the people I have met here who have truly had a lasting impact on me. 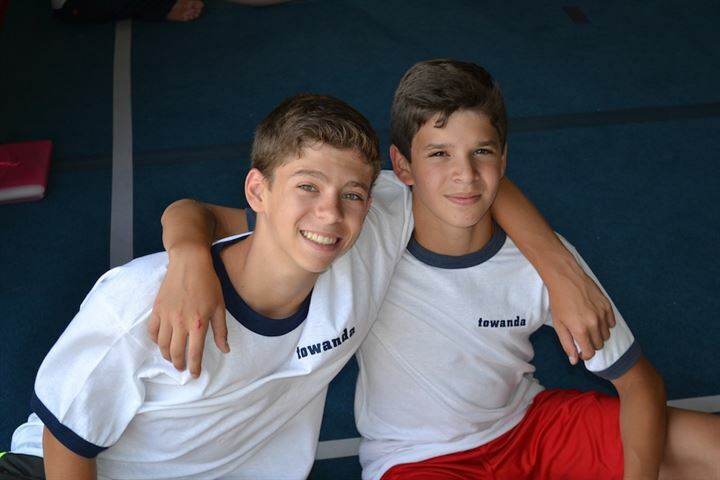 Through good times and bad, both at camp, at home and around the world, there is no one you can count on like someone from Camp Towanda. Every person you see around you is a potential life long friend. Friendships are very easily to come by at camp, but you must remember how valuable they really are. Praise your friends when they are doing good and support them when they need it. Tell you’re friends what they mean to you, as I hope I am telling all of you. I just want you all to know, I think you’re awesome. To Bob and Amy, Lisa and Michael, I thank you for letting me share in your families, and for providing support and wisdom. To Mitch and Stephanie, who I to look to as my summer parents, I must say thank you. Thank you for helping me along the way, celebrating milestones with me, allowing me to stumble but never letting me fall. I hope everyday to make you proud. There is no greater feeling then knowing you are loved and supported and all of you provide that feeling for me. If happiness could be located using a map, or maybe a gps, it would bring you here, to Camp Towanda. Good evening everyone, my name is Kyle Maynes (that’s me on left with the sunglasses). Most of you may know me as Waterfront Kyle. You know back in 2011 I remember sitting in the back of the field house listening to Michael Pelton give his sermon at the first Friday Night Service of the summer. I was taken aback by what he had to say, I was nearly brought to tears. I knew one week into my first summer that this is where I wanted to spend all of my summers. The campers, counselors, senior staff, daytime activities and evening activities all contributed to what makes this camp so special. I only hope I have had and will have the same impact on all of you. For the last three summer I’ve been fortunate enough to work pre camp. 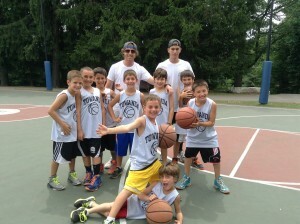 People always ask me why I do it or what do I do for a month before all the campers show up? The only appropriate response I could think of is something my fellow Group Leader JayFray said to me, “I love seeing camp be built”. It’s so amazing seeing an empty campus come to life and blossom into our summer home. 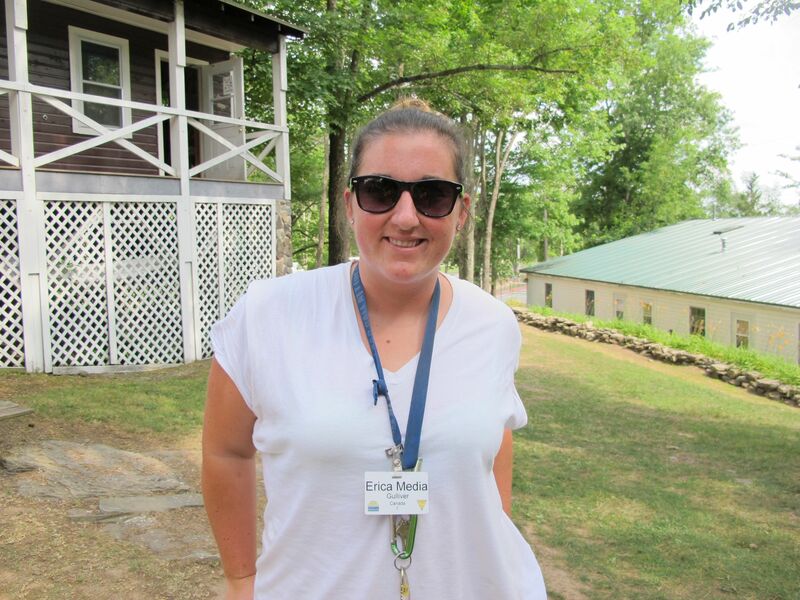 I know being a first year staff member here at Camp Towanda isn’t always the easiest to adjust to. Whether it be general counselors, specialists, group leaders or senior staff. Most of you come from different countries or states and don’t have camps quite like this to work at and call your summer home. In 2011, I took a chance on a place that was 3000 miles out of my comfort zone and didn’t know what to expect. I was lucky enough to have Mike Thompson and Matt Miller who had 30 years of combined Towanda experience to take me under their wing and show me the ropes. Every possible chance I try to do the same and make the adjustment for new staff members the same that I had. One thing I can say is that regardless of what your job title is, we all wear many hats here at camp. Your days are always full and you’re always expected to go above and beyond the expectations, just like in life. This summer I’ve transitioned into a new role at camp. Going from Waterfront Director to leading that amazing group of Cadets around has been a great experience. During pre camp this summer I sat down with another fellow Group Leader, Marbles, and discussed the counselors he had as a camper. We talked about which counselors made the biggest impact on his growth as a man and which counselors he would remember for the rest of his life. My boys who are up near the front, Calling all Cadets… (“Lets get airborne!”) yup those are mine. I just hope I can have the same impact on these kids. I hope that when they reflect back on these summers 10 to 15 years down the road they will remember the significance I played in their lives. My goal is to grow and learn from them as much as they will from me. My first summer I had the opportunity to be accepted by the senior boys of 1110. Although I was senior staff they made me feel like one of their own and allowed me to sit in on there reflections that summer. I was able to see those young boys grow into young men beneath my eyes. Now seeing them as waiters half way through high school and ready to embark on this world in a few years is great. 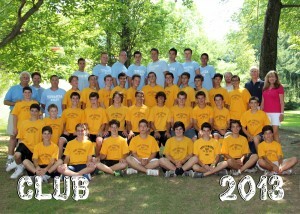 Seeing the club boys of 2011 tackle the roll of now being Counselors-in-training has also been amazing. If I showed up yesterday I wouldn’t be able to tell they weren’t counselors. I would say that the maturity these boys have shown has been brought out by camp. Every summer you’re learning new things, having new experiences, meeting new people and they all contribute to who you are as a person. I know throughout this sermon I’ve referenced many people or used things that other people said as my own. Mitch always tells the staff that, “No matter where you are in the world you will always have a little piece of Towanda with you”. These people I’ve referenced and the things they’ve said are a part of me now. Not a day goes by that I don’t think about camp. This is more than a summer job, it is an experience you will remember the rest if your lives. When I look around this room all I see is my family. No matter where life takes you I will hold you all dear to my heart. I sincerely thank Mitch, Stephanie, and all of you for letting me be a part of it. Thank you.